Singaporeans in Vancouver, you can rejoice. I think we’ve categorized all the Singaporean/Malaysian Restaurants in this post and ranked the top 5. List will continue to be updated. Here’s your ultimate list of Singaporean food in Vancouver – wasn’t hard writing at all. First off, if you’re looking for good Singaporean food in Vancouver, I suggest you skip Banana Leaf. You’re over paying for food that isn’t representative of Singaporean or Malaysian cuisine. This is the list of REAL Singaporean food in Vancouver. If you’re Singaporean or if you’re interested in Singaporean cuisine in Vancouver, read on, because you will not be disappointed! Being a foodie was in part how VancityAsks.com was started. I like food so much, we wanted to share the BEST food Vancouver has to offer for whatever cuisine or tastes. (since Vancouver is such a multi-cultural city with so many delicious experiences). So without further ado, let’s get to finding the best Singaporean food in Vancouver. Some things you have to try with Singaporean food in Vancouver is (1) Chicken rice (2) Laska (3) Prata – this is actually Malaysian food. 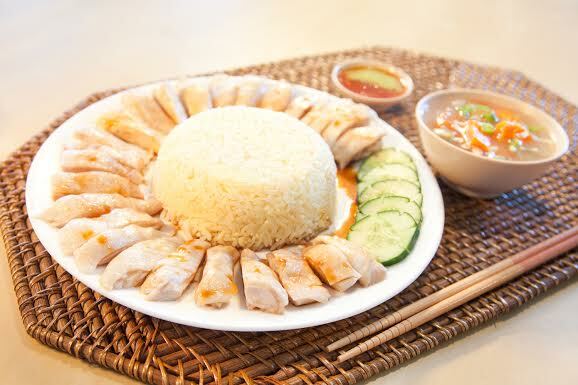 We’ve ranked it at #1 as the best Singaporean food in Vancouver because they do so well at their specialty – Hainanese chicken rice. It’s like a hawker concept where one hawker store will do really well in a certain dish and only serve that dish. It’s certainly worth a visit though I’ve yet to try their curry or deserts. What’s bad: Nothing that I’ve tried so far. 2) Hawker Delight: Hawker Delight is quite the delight. It’s right on Main street and has been one of the long standing Malaysian/Singaporean restaurant/take-out in Vancouver. Very friendly people and fast service. The restaurant is typically pack during lunch and dinner. The prices are incredible as well for Singaporean/Malaysian food in Vancouver. Go give this fine establishment of Singaporean food in Vancouver a visit if you would like to try good char kway teow. What’s bad: Not really bad but laska was average. Their tofu skins can be skipped too. Penang Delight is an excellent Malaysian restaurant in Vancouver that’s definitely worth a visit. They have several branches across Vancouver for good reason. 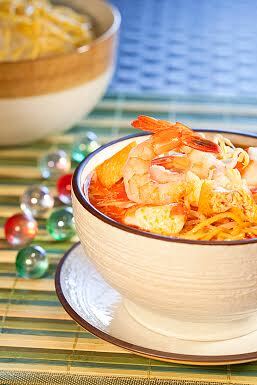 The prices are slightly higher relative to Hawker Delight, and they added sugar to their Penang prawn noodle soup. Other than that, it’s good Penang food. What’s Good: The prawn noodle soup is so good. What’s Bad: None so far. 4) Kaya Malay Bistro: Kaya Malay Bistro is a nice, small restaurant near west Broadway. It’s rather modern with a drink menu along with their food. Food is rather authentic Malaysian/Singaporean food in Vancouver. It’s certainly worth visiting. Their condiments for the hainanese chicken rice is quite on point. As you will hear from Anthony Bourdain (who infamously endorsed Tain Tain Chicken rice in Singapore – and ever since the line up has been incredible), the condiments with Hainanese chicken rice is very important. The prices are very reasonable for an eat-in restaurant and certainly lower than Banana Leaf Vancouver. They have also participated in Dine-Out Vancouver. Yes it seems most Singaporean food in Vancouver are actually Malaysian restaurants if you’ve noted that observation by now. There’s always this debate between Malaysian and Singaporean food; we prefer to enjoy the food. Other mentions: Singaporean food is so hard to find. Here are some other Singaporean/Malaysian restaurants and eateries you can try out in Vancouver. Let us know your thoughts and opinions. John 3:16 Malaysian Food: It’s good Singaporean and Malaysain food in Vancouver but they are currently closed. Food is authentic and family style but smaller portions. Prata Man: When I arrived in Vancouver, I remember Prata Man distinctly being a great establishment of Singaporean food. The Hokkien mee was their specialty despite the name, Prata man. Now however, this eatery has really declined in quality and in food safety. It’s still worth a visit to try their Hokkien mee but do note the store is not very clean. Go for their prata or chicken rice while you’re there as well. It’s right in Richmond near Bridgeport station. Laska King: Laska King is located in East Hastings, not the prettiest neighborhood in Vancouver. They have good laska however and been around for quite some time. It’s a Burmese and South East Asian eatery serving up laska and other dishes like roti canai (prata – different ways of calling the same food). Tropika: Tropika is actually quite good south east Asian food in Vancouver. It’s worth visiting for a dining experience; these are restaurants much like Banana leaf rather than the typical take out, small eateries or cafes for other Singaporean food in Vancouver. Coco hut: Coco Hut is another Singaporean food store in Richmond. Their chicken rice is lacking flavor but their menu prices seem well. I can’t comment about their other food but reviews appears to be worth visiting. Spoon Kitchen: Spoon Kitchen we have seen several times on Groupon. It’s not authentic Malaysian/Singaporean food in Vancouver but it does give a fairly good taste of Malaysian, Singaporean, and Thai food. I hear portions are small relative to the prices. It’s rather near downtown and worth checking out if you got a Groupon. Mui Garden: Mui Garden is a Hong Kong style cafe (as we mentioned earlier that a lot of these HK cafe seem to serve certain Singaporean/Malaysian dishes) which actually serves up fairly decent Hainan Chicken Rice and curry. It’s worth checking out but not specifically a Singaporean restaurant in Vancouver. City 1 Cafe: City 1 Cafe is another Singaporean food restaurant in Vancouver. It’s located on the 25 bus route near Cambie in a strip mall besides Safeway and TD bank. It’s Ok food. It’s not actually ran by Singaporeans or Malaysian (it was bought over apparently) but Cantonese. Food understandably is not as authentic and sub par. It’s quite an undiscovered Singaporean/Malaysian food eatery. If you’re looking for cheap and good Singaporean food in Vancouver, then Bean Sprout Chicken is your bid. Go to the food court in Crystal Mall (quite like a hawker center) and checkout their menu as you savor delicious Malaysian and Singaporean food in Singapore. Lemak (malay word for fatty but actually implied as rich in flavor) laska is around $7-$8 (rather than paying $15 at Banana Leaf ). Most of the food is rather authentic. They don’t make their own prata however so give that a skip. So I copied some paragraphs at the start, and pasted it here as the conclusion 🙂 Remember, re-use, recycle, and reduce! We are a green city after all. For years, I’ve been dishing out my recommendations for the best Singaporean/Malaysian food in Vancouver to every Singaporean I met whether they wanted it or not. Now, it’s your turn. Thankfully since you’ve volunteer read this article, I’d suppose you want to. 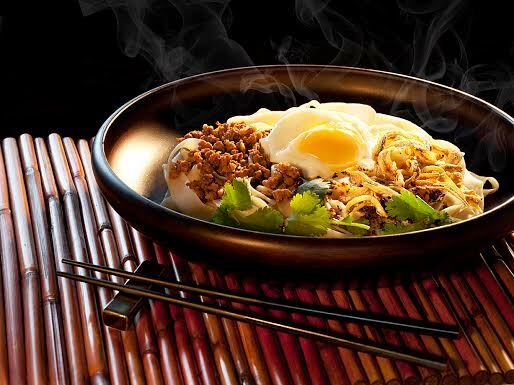 Singaporean cuisine is truly an experience not to be missed; if you cannot make it to Singapore (uniquely Singapore), these are possibly your next best option to tasting Singaporean food. Singaporean food incorporates many cultures and cuisines as Singapore is a melting pot of cultures and races much like Vancouver. It’s also good to note that many foods you find in Singapore can also be found in Malaysia and Indonesia or Thailand. Hence it’s not exclusively Singaporean food in Vancouver but Malaysian & Singaporean food in Vancouver. There honestly isn’t too much difference between the dishes in these two countries with some modifications and taste on certain recipes – for example the laska in Singapore is more creamy, coconut taste like a thai curry whereas Malaysia’s Penang laska is the sour and salty version. Singapore has also strict regulations for their food (even hawker food) so it’s prepared more health/safety regulated meaning it leaves out some traditional additives that may previously be used. Dr. Leslie Tay would be able to tell you more about how the “hor fun” in Singapore compares to Malaysia. Hor Fun is basically fried rice noodles in delicious stock. If you’re Singaporean in Vancouver reading this article, I hope we’ve helped you edge off your cravings. BKK Jerky – this is Singaporean style Jerky in Vancouver. Freshly made with full beef/pork slices. Tastes pretty good actually. Prima Foods – For those of you who want to savor Singaporean dishes in your own home, TnT and many asian grocery stores are beginning to carry packaged Singaporean food in Vancouver. For example, Prima Laska Instant noodles, Chicken rice seasoning packets, even Bak Kuh Teh soup packets! There’s plenty of variety here nowadays. You can even get your Malaysian white coffee or 3 in 1 coffee at TnT these days. There’s also a very close variety of Singaporean pineapple tarts in TnT Vancouver if you fancy some pineapple tarts – nothing quite as good as those glory pineapple tarts in Singapore however. Alongside, TnT has been carrying frozen prata for some time. You need to be able to cook it on a hot pan and fluff it up before serving though. As a person who is 30 sec from Penang Delight I certainly like their curry. both their beef brisket and chicken are very tasty but on the spicy side. The roti is great too. Also their pineapple shrimp fried rice is very good imo. The only dish I don’t like is their Hainanese chicken, they serve it warm instead of cold, which is what I like. If you think their dish is a bit expensive, their noon business man dishes are discounted. They have a good selection of dessert and drinks. Very true. Good to know about their lunch discounts; always good news for Singaporeans haha. Sorry lah, typo. Thanks for pointing that out. Makan restaurant on 6th Street in New West is delicious. Service a little slow but food is worth the wait. Thanks for the suggestion LL Cool Ray. Will certainly try it out. Candlenut is available at a few places that sell south East Asian foodstuff. Candlenut/kemiri is available at Asia mart on hasting, east of Main Street. 88 supermarket on Victoria and hen Leong in Surrey may have it as well. Defo worth sourcing out. Thanks for the information Keev! Didn’t know they have it in Vancouver; checked the store in Richmond by Lansdown Mall and Tong Fatt in Coquitlam but they didn’t have it there. Great to know there’s some at Henlong and 88 Supermarket. Buy you to Laska sometime as a thank you haha. Tamarind Hill in New Westminster has pretty authentic Singaporean/Malaysian food. Should check it out. Thanks for your suggestions HY. Will certainly give it a visit soon! Have you been to Kari House in Steveston? Worth a mention. Ipoh Bean Sprout now has a shop in Marpole, on Granville Street near 70th. Thanks for sharing about Ipoh Bean Sprout on Granville. Thanks for your comment! I’ve walked by Kari House at Steveston various times; it looked quite appealing. To think about it, I may have tried it once almost 7 years back if I’m not mistaken (with family) but it was a little disappointing. Will hopefully try it out again soon. Has anyone reviewed Kurumba in Port Moody? A mixture of Singapore/Malay/Sri Lankan food. Been to Kurumba a few times. Owned by a person who lived in Sri Lankan if I’m not mistaken. They have good hokkien mee and nasi lemak. Quite authentic. Certainly worth a try if you’re around the area; there are better Singaporean/Malaysian food options around Vancouver but it’s certainly good. Check out BKH Jerky as well if you’re looking for Singaporean style Bak Kwa for snacking. It seems empty most of the time and they close quite early (8 PM as I remembered a few years back.) and the lighting is always too dim. They have good lunch specials though. If we’re missing any Singaporean/Malaysian restaurants on this list, please comment here. Would love to give them a try and add it to our list…it was compiled two years ago and certainly some new Singaporean food restaurants have popped up in the past months. We try to keep our recommendations up to date!